Up-to-date and accurate information is best gotten from the Town of Tellurides’ website. Telluride is located in the Southwest corner of Colorado in a picturesque San Juan Mountain box canyon. The spirit of the American West thrives here in Telluride – from the first hardy pioneers to today’s hardy locals, we take immense pride in our small town and we know that once you’re here, you’ll fall for its charm as well. We are undoubtedly a little remote – but staying off the beaten track ensures the town remains unblemished and unique in Colorado. Telluride, Colorado has its own airport, Telluride Regional Airport (TEX). The airport is located five miles from Telluride’s downtown business district and is the highest altitude commercial airport in the country. Great Lakes Aviation, United Airlines, and Frontier Airlines serve Telluride Regional Airport. Other incoming flights vary from different locations and change seasonally. Typically, passenger planes into Telluride are 19-seat airplanes. The airport also accepts private planes and charters. The Montrose Regional Airport is located 65 miles from Telluride/Mountain Village and is the airport of choice for most visitors. American Airlines, Continental Airlines, Delta Airlines, and United Airlines all serve the airport. The airport offers non-stop and connecting service through Denver, Chicago, Newark, Dallas, Houston, Atlanta, Phoenix, and Los Angeles. Rental cars from Alamo/National, Avis, Budget, and Hertz are available at the Telluride Regional Airport. The drive to Telluride is stunning from a number of larger flight destinations. Off the beaten path is the best way to describe the journey to Telluride. Once you’re here, we guarantee that you’ll appreciate the effort. There are different options for staying in Telluride, CO. Because of the size of Telluride, there are not any large hotel chains. If you are traveling with a group you can rent houses that can comfortably hold 10 attendees. Single rooms are also available that include kitchenettes. If camping is your style there are campgrounds in Telluride and nearby Ouray. 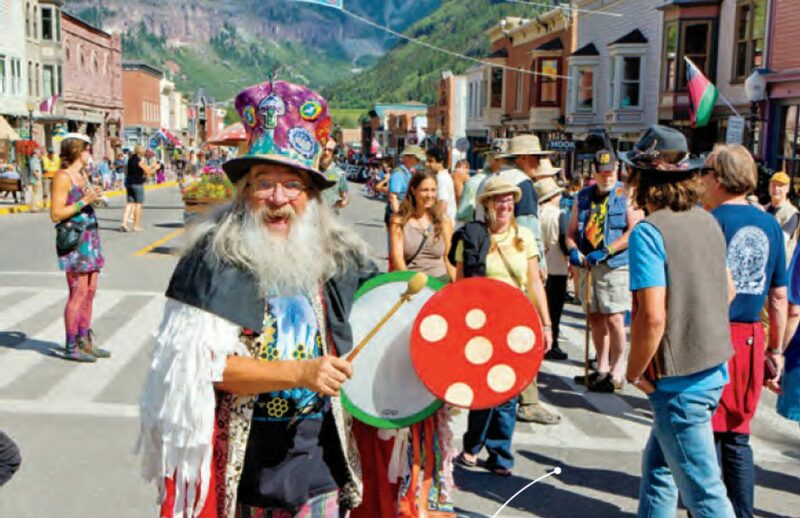 The preferred lodging provider for the Telluride Mushroom Festival is Alpine Lodging Telluride. 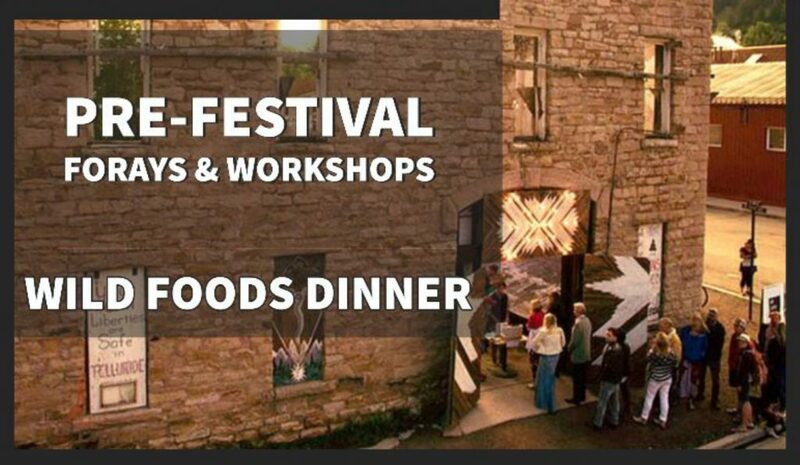 They offer a generous 15% discount to all festival attendees—make sure you mention the festival when you are booking your lodging. Alpine Lodging Telluride can be reached by phone at 866-345-2593. Many people prefer camping in Telluride because of the gorgeous scenery and community vibe. The best resource for camping information is the Town of Telluride’s website. Outside of town there is camping at several Forest Service campgrounds. Information about these campgrounds can be found here. There are no private campgrounds in the Telluride area. The closest Colorado State Park to Telluride is Ridgway State Park. Information about Forest Service campground around Ouray can be found here. Information on private campgrounds around Ouray can be found here. Information about Telluride, CO, including food, activities, events, and weather can be found at Visit Telluride.